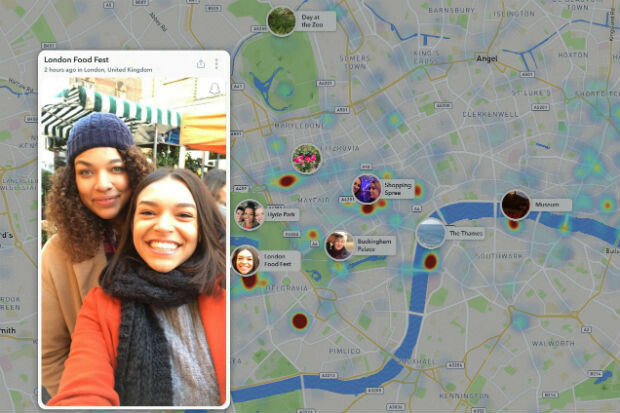 What is it: The website map.snapchat.com, launched yesterday, is a desktop version of the Snap Map, collecting public stories based on their location. It displays both curated stories, put together by Snapchat producers, and other posts shared publicly by Snapchat users. Cost: Searching the map and embedding it can be done for free, and you don't need an account to use it. How is it of use to journalists? As user-generated content from social media has become a constant fixture in online stories, whether in breaking news situations or event coverage, finding and verifying images and videos uploaded by eyewitnesses to events can be a headache for journalists who work in newsrooms without a strong established workflow in this space. 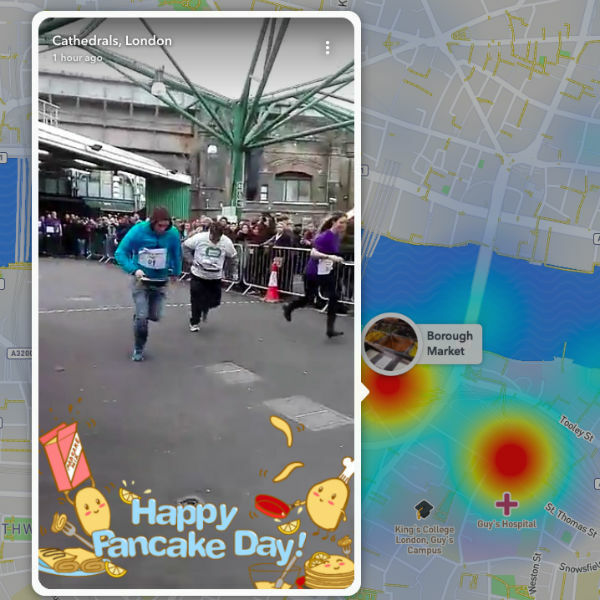 The Snap Map can be a source for geolocated posts that are shared with the public by their creators and can be embedded in related stories, whether you looking for posts from the Winter Olympics, or for footage of the pancake races in London taking place for Shrove Tuesday. Screenshot from a pancake race near Borough Market, London. You can search the map by typing in the desired location in the search bar in the top left-hand corner, and zooming in or browsing around a certain location. A view of the map can be embedded into web pages, and so can individual stories. Any embedded content will be live, and updated in real time. So it might be worth keeping a few screenshots of the really good embeds around for posterity, and make sure you are aware of your organisation's policies regarding the use of user-generated content. Why keep an eye on the Snap Map? According to data from Snapchat, more than 25 per cent of smartphone users in the UK open the app every day. Snapchat reaches 70 per cent of 13 to 34 year-olds in the UK and millions of users of Snapchat are exclusive to the app, meaning media organisations and brands cannot reach them via Facebook, Instagram or Twitter. Snapchat claims that some 41 per cent of its 10 million users in the UK cannot be reached by Instagram on any given day, and 93 per cent cannot be reached by Twitter. Through the Snap Map, journalists can get a new perspective of the events, news stories and storytelling styles that matter to younger audiences, as well as insider views from Snapchat users who have access to places that perhaps the media has restricted access to, or cannot enter with larger cameras. A Snapchat spokesperson explained in a press release that the only stories featured on the Map are those where users explicitly opted into sharing their posts to the 'Our Story' feature. Posts are also moderated by Snapchat producers to ensure they conform to the app's guidelines.